So in response to my gear lust (see here), and sort of in anticipation of future transition to “full frame” (or acquisition of a F4 or F100), I researched and purchased a couple of old lenses. 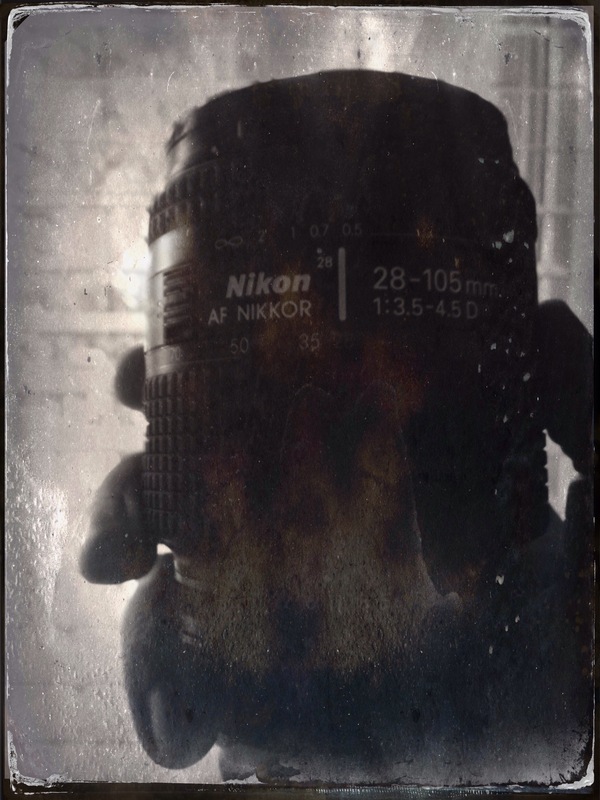 Additionally, I picked up the new Tintype app from the Hipstamatic folks, and it seems a good idea to post pictures of old film lenses with a fairly recentish phone camera, using an app that simulates an early analog/chemical process… Admittedly, this is probably a bit contrived. First up: the Nikkor 28-105mm f/3.5-4.5 D: nice range for a walk-around zoom on film/full frame, and I’ll play around and post some pics and maybe a brief review with the D7000. 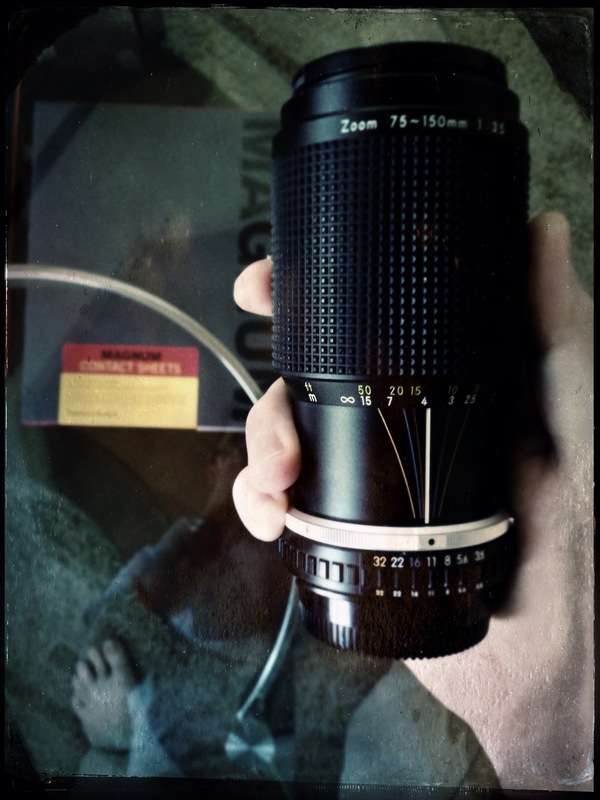 Next (and last, but definitely not least), a new, non-Zombified Nikon 75-150mm f/3.5 E-Series. This one was $58, shipped, and appears in better condition than the ~$150, now Zomb-E, which had some rub of the coating rubbed off the front element. The new one’s a beaut! I haven’t shot much with any of these yet, but I’m looking forward to spending some quality time with them soon. iPhone 5, Tintype app: one b/w, one color, both had changes to “plate grain,” frame, and depth of field. One brief complaint about the depth of field… A decrease in the depth of field effect results in an increase in depth of field… it seems backwards. Otherwise, it’s a fun-enough, if limited, app.